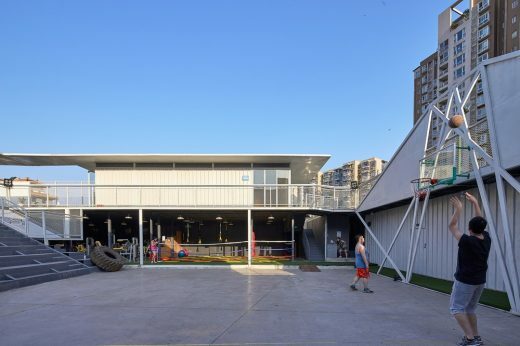 Viewed from the street, the Black Box Gym appeared to be white! 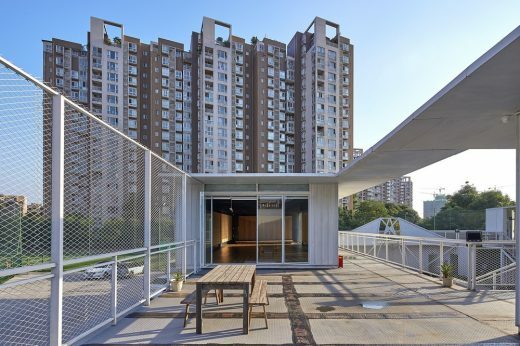 The project is formed by a group of open white boxes, harmoniously situated in an unused land of an aging urban community. 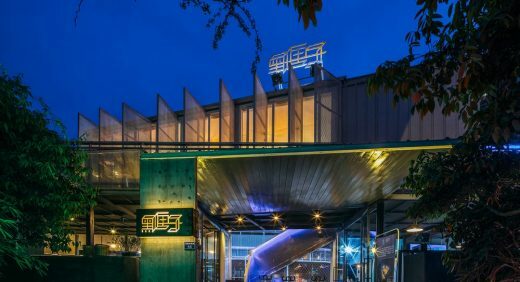 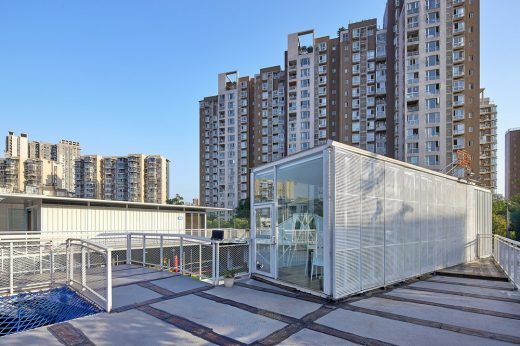 It features steel beam-to-column, corrugated steel and perforated steel plates, which are widely applied in temporary architecture. 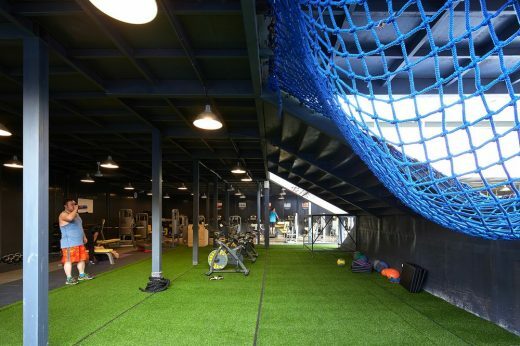 The gym provides fitness facilities and space for people nearby. 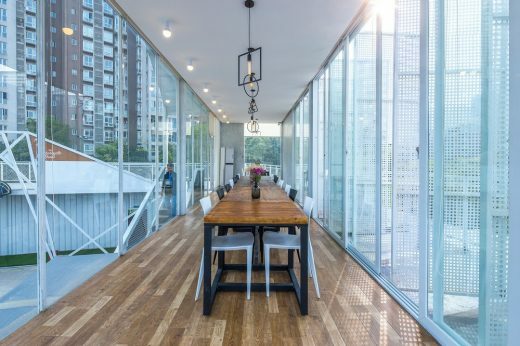 At night, it emits light through glasses and perforated steel plates, injecting new life into the dreary block. 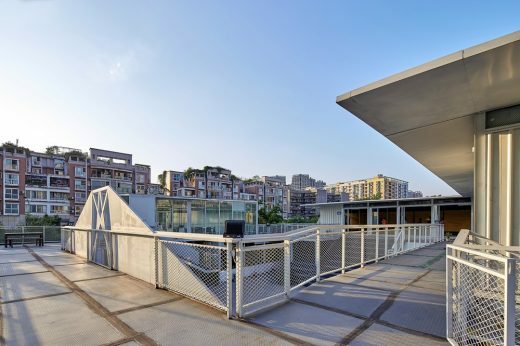 It is an eye-catching center of vitality, while at the same time it integrates harmoniously with the surroundings. 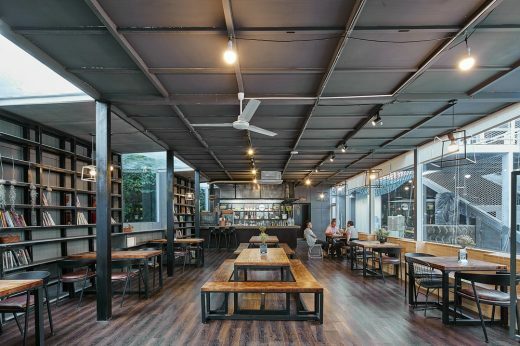 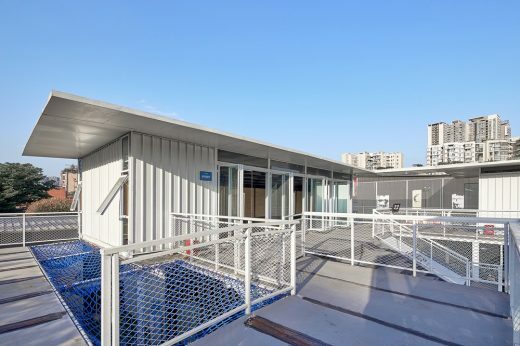 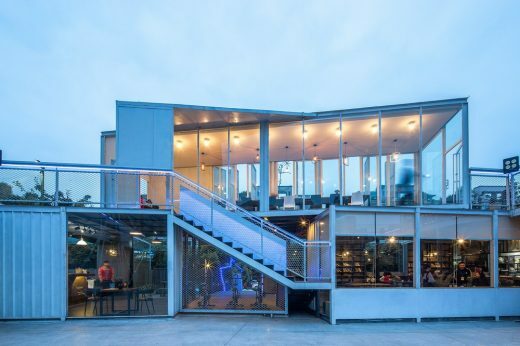 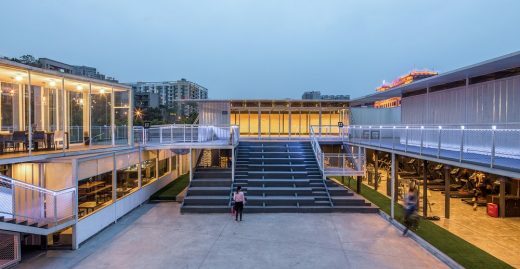 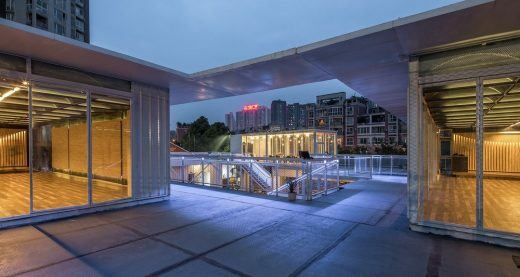 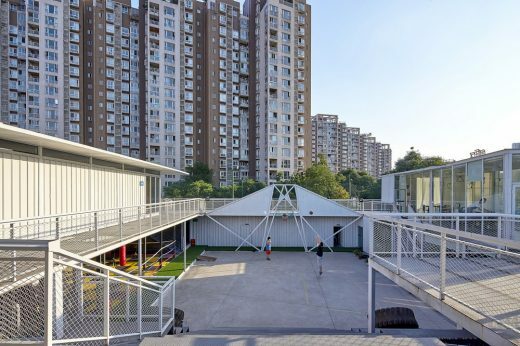 Because of the uncertainty of municipal management meaning and business operation, the building’s function is unsure and the space is flowing that eventually leads to a low-cost temporary building. 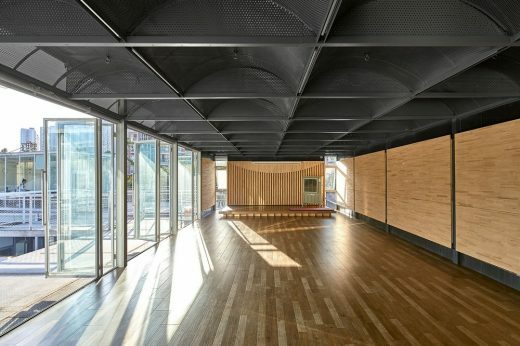 On this basis, the open and enclosed spaces of the building are concerned to the greatest extent. 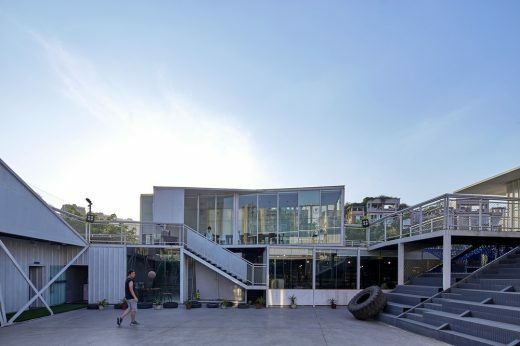 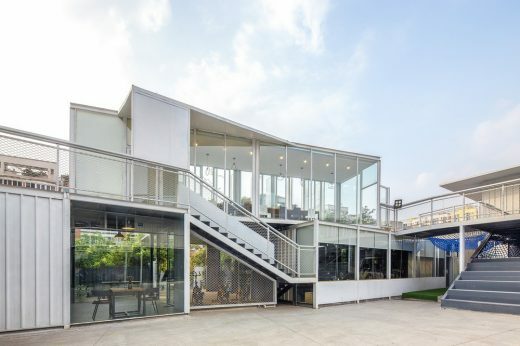 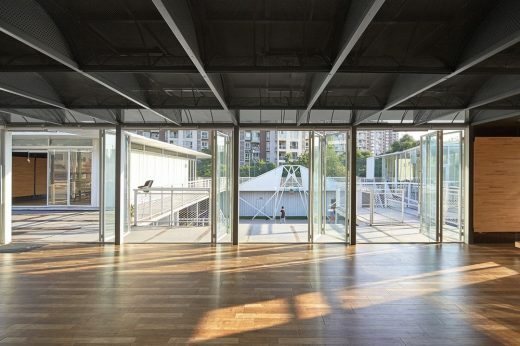 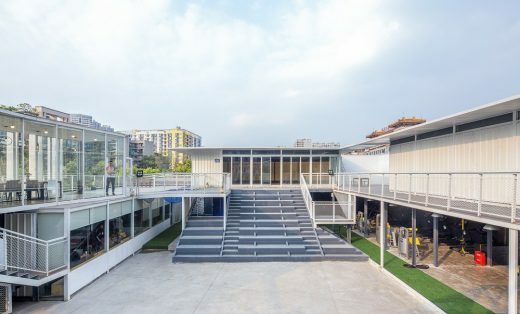 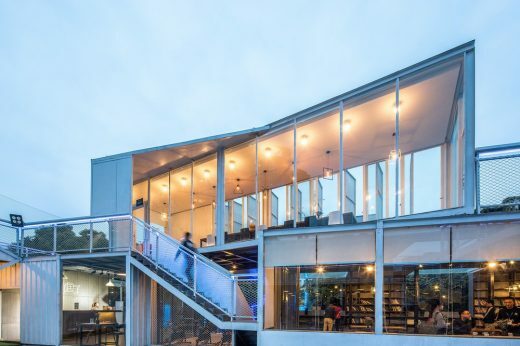 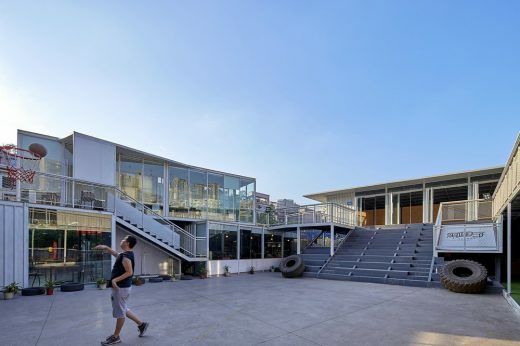 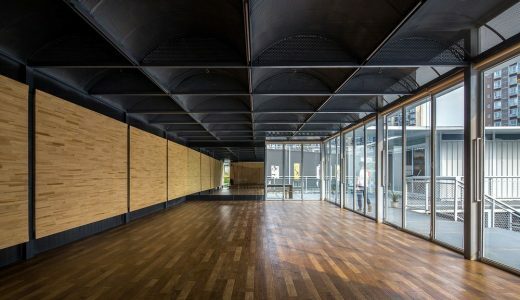 To confront with problems and challenges such as community activation and interaction, functional change and connection and the speculation of the building’s relative temporality, the architects finally made an ambiguous and moderate conclusion as “not defined” in the aspect of philosophy. 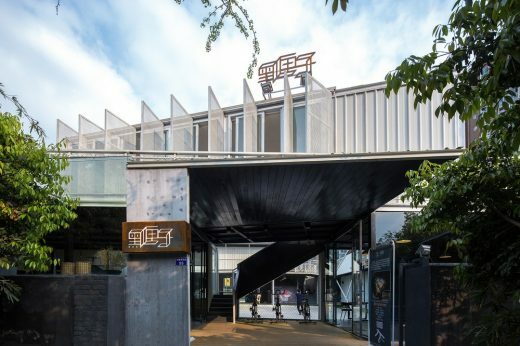 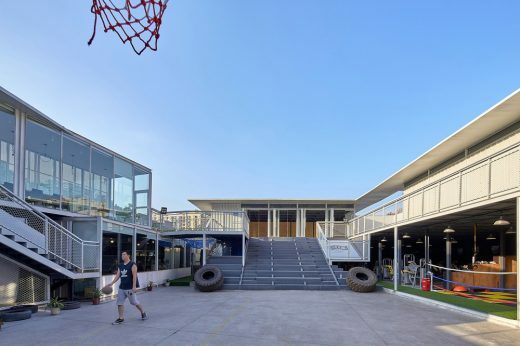 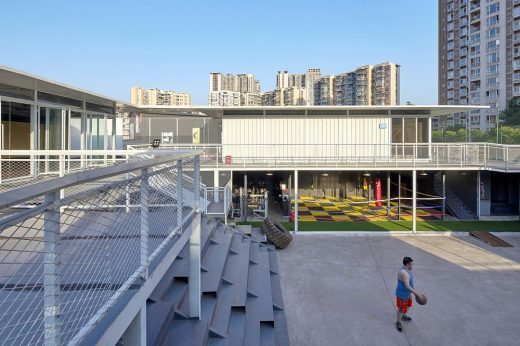 A lively and vigorous space has been created, meeting the multiple needs of sports and recreations, which becomes the most popular gym in the local life.